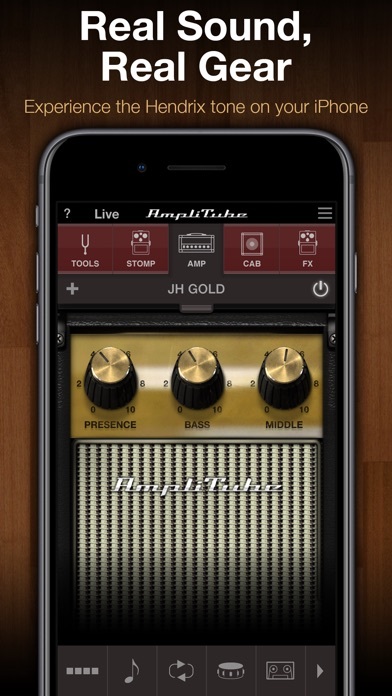 I have bought the Jimi pack, the Soldano, Fender amps, most of the stomps, and I am overall extremely pleased with the quality and coolness after using these gizmologies on both me iPhone and me iPad. Although I do not own a Soldano I do own a 100watt Plexi clone and the Roger Mayer versions of the Hendrix stomps, mic up using an AKG 414 thru a Neve mic pre. I have been playing and recording for 30 years + and although there is a difference of quality there is no denying the value and simplicity of this stuff. I recommend these things to anybody with $15-$20 to spend on their rig. Doubt you'll regret it. Cheers! Note to the developers: it would be nice if we didn't have to buy things twice when it comes to the iPhone and iPad purchases, that's kinda undude. Are you kidding me? I can have the Hendrix sound on my guitar blaring through my headphones for less than a new pair of sweatpants? Kaching!!! You can't take my money fast enough. The presets and depth are amazing. A must have for any guitar player that wants to feel like Hendrix if even for just a moment. I regret spending 15 bucks on this app. 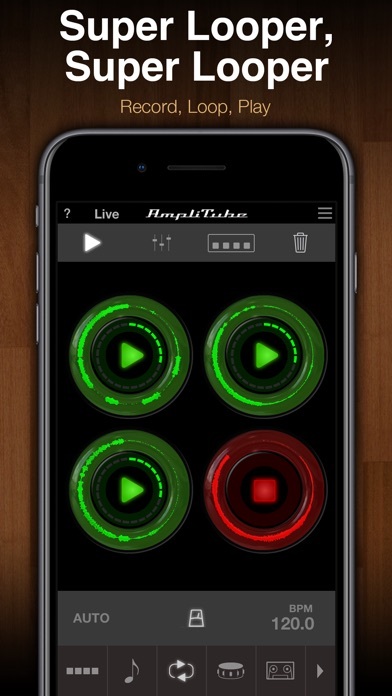 You're better of buying ampkit+ for 19 bucks which has a way more superior sound quality and a wide range of effects to choose from. 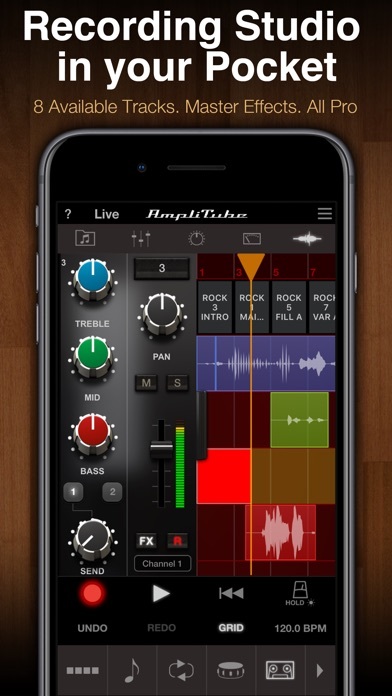 Esta app de iOS de Amplitube, contiene gran material para todo fanático y músico seguidor de Jimi Hendrix, recomendada. How can it be a Hendrix setup without a wah included? I'm certainly not interested in paying more to get the capability implied by the app name. I bought this app while on sale for 8.99. It really was completely worth it. If you are a multi-instrumentalist buy yourself a clip-on tuner/pick up. I clip it onto my Bari or tenor uke, plug it into iRig and it is hours of fun and ideas. Any instrument can be used even homemade. And of course good ol' electric guitar is awesome too. Very cool. Very much worth the money. Octa V and Uni V are great effects that work well with by Blackstar tube amp. 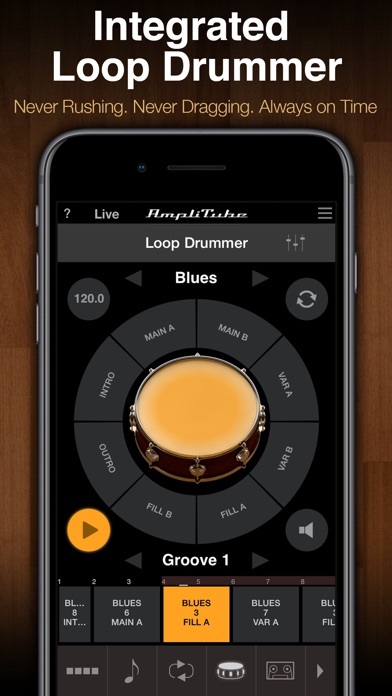 This app is good for rock blues and jazz. I was hesitant about the price, but it is worth every penny. The clarity and dynamics of the amps are inspiring. The Uni-Vibe effect is fantastic - I usually can't get enough out of them, but 10 o'clock on the dial is plenty intense for me with this one. I have been waiting for this app come out and I must say it was worth the wait. I deleted my other amplitude apps because this is all I need now. The effect sound dead on Hendrix, the throbbing swirling chewy sound of the uni-vibe, the octave up ring modulation of the Octavio and the thick fuzzed out sound of the fuzz face. I added the wah pedal but haven't played with it much. 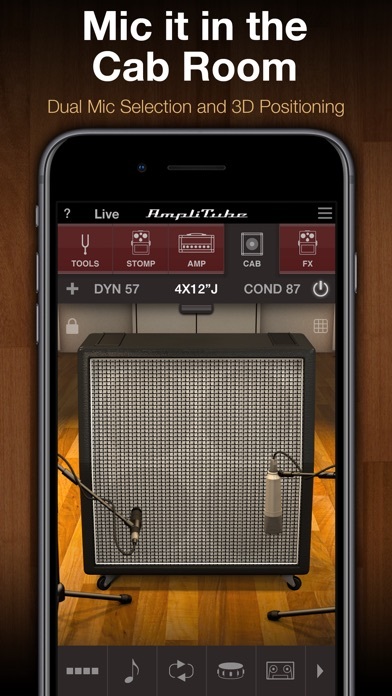 You can also get some great Marshall and Fender tone with this app. 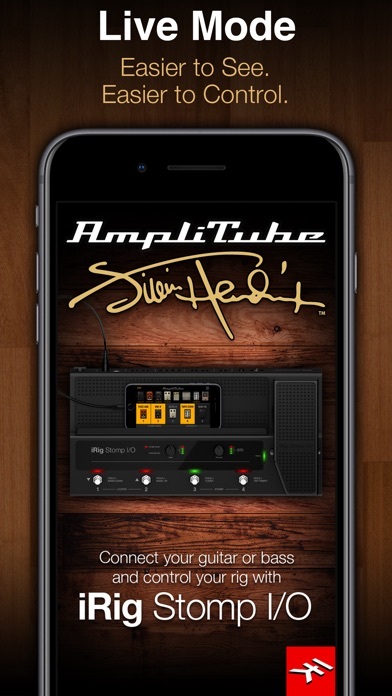 Like I said its all I need now if you are a diehard Hendrix fan like I am this app is a must, but this app is great for any guitar player I give it five stars. It's simply a great app.